ICR is a national leader in food and food ingredient production. Our roots in agriculture allow us to deliver everything from breakfast cereal and baker’s yeast to organic spices, breads, and cheeses. Globally beloved products like Cheerios, Captain Crunch, and Quaker Oats cereals are made in ICR. Local companies take advantage of our region’s access to raw materials, infrastructure, and research to startup and grow big. When you add our talent pool, suppliers, service companies, and educational institutions, it is the perfect recipe for success. Wet Corn Milling industry is 55 times more concentrated in the ICR region. Biological Product Manufacturing industry is 12 times more concentrated in the ICR region. 19% of the world’s processed oats are processed in the CR IC Corridor region for food, feed, energy, and other industrial applications. 1.1 million bushels of corn are processed daily in the ICR region, or 61.5 million pounds of corn per day. 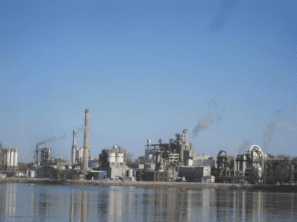 The region is home to 3 ethanol plants which have the capacity to produce over 540M gallons of ethanol per year. One biodiesel plant with capacity to produce 30M gallons of biodiesel. An American global food processing and commodities trading corporation. The company’s corn wet and dry mills produce sweeteners and starches, animal feeds, and ethanol. Develops and manufacturers clean­label, savory yeast extracts for the food industry. An international producer and distributor of agricultural products such as sugar, refined oil, chocolate and turkey. The company’s corn wet mill produces sweeteners and starches. The company also operates two soybean facilities in Cedar Rapids, and recently acquired Diamond V.
One of America’s leading manufacturers of frozen garlic bread and toast. Manufactures natural yeast culture products to improve animal nutrition and health around the world. A global leader in industrial biotechnology. The company develops and markets enzymes to a variety of industries. A cooperatively owned wholesaler of natural and organic products. An American multinational manufacturer and marketer of branded consumer foods sold through retail stores. Their Cedar Rapids location produces breakfast cereals, fruit snacks, and other food products. A global ingredients solutions company. They make sweeteners, starches, nutrition ingredients and biomaterials that are used by customers in everyday products from foods and beverages to paper and pharmaceuticals. Engages in the research, development, and processing of organic fibers derived from vegetable raw materials. A national, full-line food ingredient distributor with 60 years of expertise in sourcing, distribution and logistics. Offers organic, minimally-processed and non-homogenized products including organic milk, yogurt, cottage cheese, and butter. A $100 billion packaged foods maker best known for its condiments. The company manufacturers soups in Cedar Rapids. A global key player in yeasts and fermentation, Lesaffre designs, manufactures and markets innovative solutions for Baking, Food taste & pleasure, Health care and Biotechnology. Manufactures industrial mixers and blenders, as well as microwave drying systems. The leading goat cheese manufacturer in the US. Supports the operations of a family of companies in Kalona, Iowa: Awesome Logistics, Awesome Refrigerated Transit of Iowa, Farmers Creamery, Frytown Warehouse & Distribution, Kalona Creamery, Kalona Farms, Kalona Organics, and Provision Ingredients. An American food conglomerate. Their Cedar Rapids location produces a variety of hot and cold cereal products and dozens of food products. A joint-venture of Lesaffre and Archer Daniels Midland Company, produces yeast products. One of the country’s largest independent distributors serving restaurants, chains, schools, healthcare, and the military. Provides private label food and beverage offerings to retail grocery and food away from home customers across North America. A distributor of natural and organic foods, specialty foods, and related products in the United States. Provides electrical construction and engineering, plant automation, safety training, and arc flash services. Provides superior commercial and industrial plumbing. Their goal is to reshape the agricultural, chemical, nutritional, and pharmaceutical industries by combining the intellectual talents of top scientific faculty with the practical delivery of new technologies. Provides separation and grinding equipment for the corn wet milling industry. Distributes automation, electrical, datacomm, lighting, power transmission, and utility supplies. Detailed data about industry employment, and wages. As well as a mapped with highlighted ICR Food Ingredient locations.